Research is one of those things that I don’t love to do. It takes a lot of work and writing (and rewriting) to produce a quality survey that will measure the attitudes and opinions of respondents well. On my latest research project, Marketing to Moms on Facebook, fortunately I partnered with Lisa Finn who does many things great – particularly the ones that I don’t. As a result, we produced a nice piece of research and report that guides marketers in connecting with moms on Facebook. I do enjoy analyzing the data and interpreting it for others. 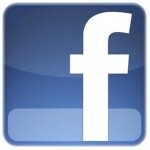 Here’s an article I wrote for Mediapost, Facebook Is Fertile Ground, from the research. This entry was posted in business, marketing, mothers and tagged facebook on January 29, 2010 by KB.